As an artist Ran-D represents his crowd in more that one way: he comes from their ranks. Starting as a visitor on the same events as where he now performs in front of them. And he shares their enthusiasm, knowing exactly what they need and to go beyond that, topping everyone’s expectations. Respect for his fans is something that grows from within; a deeper understanding what hardstyle truly is about. “I share the same passion for music as my audience, that is what drives me.” That specific emotion Ran-D gives to tracks comes from his own voice and mind. Not only does he write every single line of text, he eventually sings every word. With love for edits, small details in a track, this guy takes great care of his productions. “I set high standards for myself, so it is a challenge to improve yourself and to come up with a unique product every time, I’m really a perfectionist.” A good sound designer creates unique and original sounds, that’s what makes Ran-D’s tracks distinctive to the public. 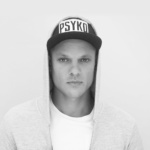 Ran-D ´s impressive list of performances is an enumeration of major hardstyle events. To name a few: Qlimax, Hard Bass, Defqon.1 Festival, Decibel Outdoor Festival, Thrillogy, Reverze, Q-BASE, X-Qlusive and The Qontinent. At the first two events, he even got involved as a partner in crime with Gunz For Hire. Living for the moment, making dreams come true Imagine, one of your first gigs, and you get surprised by the fact that your vinyl bag is missing. For Randy, this turned out to be a real blessing in disguise. After one telephone call for recovery, his bag appeared to be located with the Special Records label owner, which resulted in a precious gift: Ran-D’s first release. Not much later, one of his tracks reached his greatest hero: DJ Zatox. Out of Zatox’ enthusiasm, Ran-D got another release, this one even got supported by the Alpha² and the hero himself. Shortly afterwards, Mr. Ran-D got invited to release tracks at A² Records. Only two releases later we arrive at one of the finest moments in Randy’s life: a call from Q-dance with the request to perform at Qountdown. After years of home-based table turning and producing, his own room got exchanged for a loaded Heineken Music Hall: a dream came true. Music became increasingly important and a hobby evolved into a serious career, with more than a decade of experience.